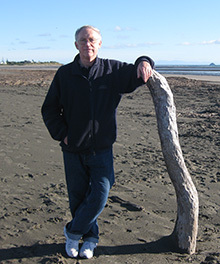 Tony Pritchard; born in Wellington and retired to the Kapiti Coast. Long-time married with three adult children and three grandchildren. A degree in science, majoring in botany (I liked drawing). Careers first in the Ministry of Works as a water-quality chemist, then in the Department of Scientific and Industrial Research as a scientific editor (mainly ecology), then some freelancing, and finally in the Ministry of Health publishing health statistics. I have a wide range of past and present hobbies, interests and passions. Some might gradually be revealed on this site. Click on my name below to email me.